I designed the piece as promotional material for France 44's newest business, a butcher shop called The St. Paul Meat Shop. 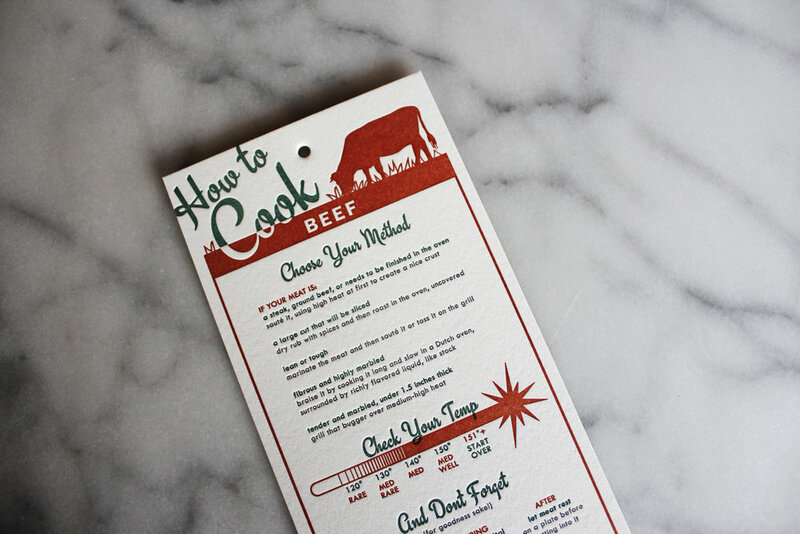 It's a handy letterpress-printed guide to cooking beef. When the Meat Shop opened in the spring of 2015, staff handed out these guides as gifts to new customers. Letterpress work by Vandalia Street Press.